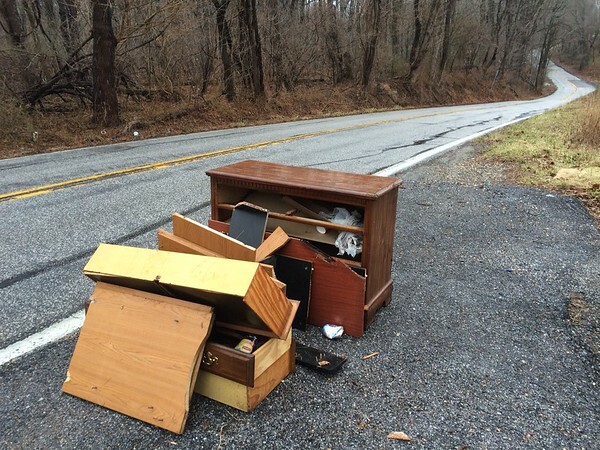 3/27/2015 Jon Merryman, River Rd, Patapsco River Watershed in AA County, Looks like spring cleaning season has arrived the junk has started being dumped more frequently now. River Road about one quarter mile from Nursery Rd. Estimated weight 100 pounds.